The Yemeni Community Association (YCA) is a community based organisation that seeks to represent and meet the needs of the diverse communities in Sandwell, however also having in particular specialising in delivery to the Arabic speaking communities. . The YCA achieves this by providing services over and above those available in the mainstream sector, and also by acting as an interface between the community and various service providers. It was registered as an official charity in 1997. The profile of YCA users tends to be one of low employment and a low skills base. These disadvantages are compounded by cultural and language issues, which often makes it difficult for these communities to access mainstream services and organisations. Other issues of concern within the community include the generally poor health of many individuals; high poverty levels; and an increasingly disaffected youth. In a direct response to this state of affairs, members of the Yemeni Community in Sandwell got together and decided to organise their efforts and activities towards the common objective of bringing the community closer together in mutual support of one another. 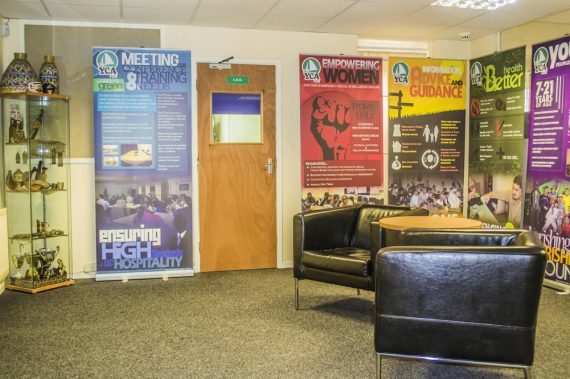 In 2004 the YCA with the assistance from New Deal for Communities (Greets Green Partnership) were able to purchase the Greets Green Access Centre where the organisation now hosts its staff, runs activities and services from as well as offers conferences facilities serving the whole of the community within and outside of Sandwell. Furthermore, in 2013 the YCA were successful in tendering to run Lodge Community Centre a popular SMBC owned community centre within the heart of West Bromwich. 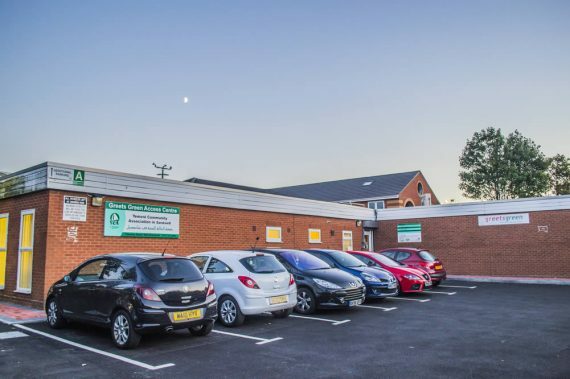 The Lodge Community Centre further reflects the YCA inclusivity ethos, where the majority of its users are from non-Yemeni and non-Arabic speaking communities therefore truly serving all members of the community. In 2015 the YCA’s advancement continued with the successful fundraising and building of the ‘YCA Cultural Centre’ which is adjacent to the Greets Green Access Centre. The YCA cultural centre was born out of demand from users wishing to have dedicated facilities to nourish their spiritual needs, as well as providing an oasis for younger and future generations to safely learn and maintain their Islamic identity in combination with their British identity. Again the YCA Cultural Centre reflects the YCA inclusivity ethos by having dedicated spaces for women and being open to the public and schools to facilitate community cohesion and break down barriers.